Nasher Museum | I am I think. I think I am. I took my first trip to the new Nasher Museum in Durham. 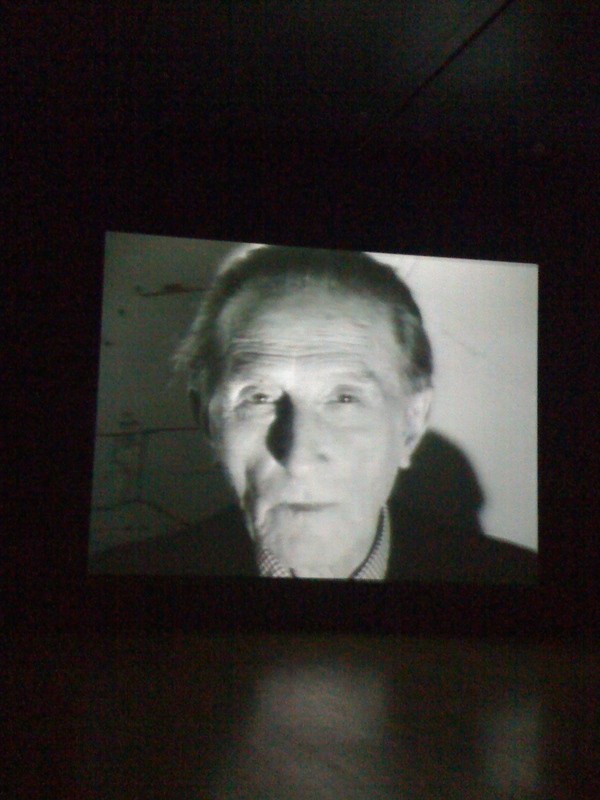 Picasso and the Allure of Language was on exhibit as well as Big Shots: Andy Warhol’s Polaroids. No photography was allowed for the Picasso, but I was able to snap some shots ironically of the Warhol photos and the film that was showing. As I understand the museum has three films that are being rotated. We were only able to sit in for a short portion of the film, not long enough to even guess… The black and white to the right is the film. 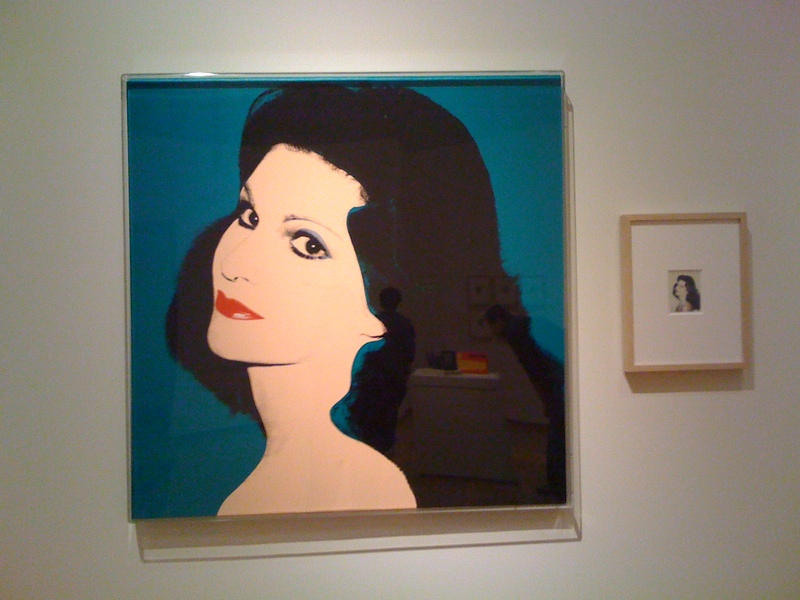 Below to the left is a Warhol of one of the museum’s namesake family members. Mrs. Nash met Warhol and commissioned him to paint her and each of her daughters. The polaroid from which the painting was m ade is displayed alongside. The museum isn’t quite as much as I had thought it would be, but lovely enough still. I, of course, snagged me the required fridge magnet as part of my Pauper Collection. I think I have one from all my museum visits, with the exception of the Museum of Fine Arts in Boston. That was long before my magnet collecting days. How scribbles in sketches and shapes in paintings can translate into images that our brain recognizes amazed me with several of the Picasso works. Forgive me for my simplistic stating of what was so awe inspiring. Some of my favorites were the Illustrations for Lysisrata. From what I read, I think this is referred to as his “classicism.” I’d need to be a much, much more learned art appreciator to comment further. Golly, I could be way off with all my comments. If so, accept my humble apology. But what fun those two hours were just imagining. That’s part of the purpose in art, isn’t it, even for the non-erudite.